One guy with a lot of spray paint can turn a retaining wall or the side of a building into a work of art. For Reynoldstown’s Greg Mike, those plain facades are an invitation to get creative. Whatever Mike winds up doing, it often results in the creation of a new art work. It might include turning a building’s windows into the eyes of a character’s face or creating a bit of an optical illusion for drivers speeding by. And he doesn’t limit himself to exteriors: His work has also covered cars, skateboards and bathroom walls. 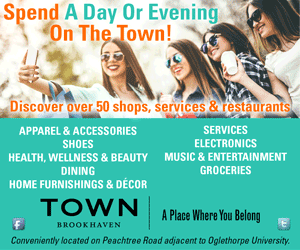 Just head north to Alpharetta’s new Holmes restaurant and check out his handiwork in the men’s and women’s bathrooms. It took two weeks for his bold brushstrokes to fill the spaces where they beg to be examined, which is sure to make the lines longer as people linger inside. Most of Mike’s work adds surprise to the city’s landscape. His latest, a collaboration with the Atlanta Braves, put an array of baseball images on a building across from Ponce City Market. One of his favorites is a five story, hot pink, gray and blue falcon called “Bird’s Eye View” that covers the side of the Modera Midtown apartment building on 8th Street. 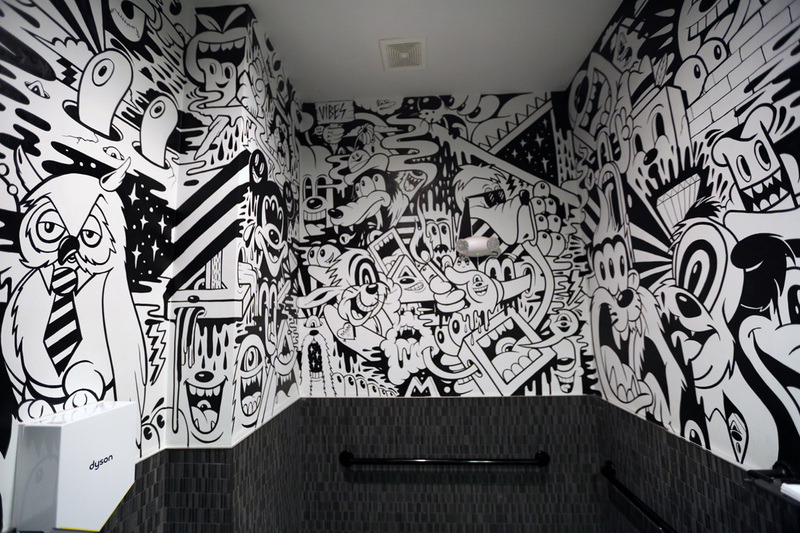 Mike’s black-andwhite designs cover bathroom walls at Holmes restaurant, in Alpharetta. His career began in the graphic arts, but 10 years ago he started doing more murals. “Public and street art has exploded since then, so I’m in the right place at the right time,” he says. So much interest in outdoor art inspired Mike in 2008 to open the Inman Park ABV (A Better View) Gallery that showcases the work of 400 contemporary artists. 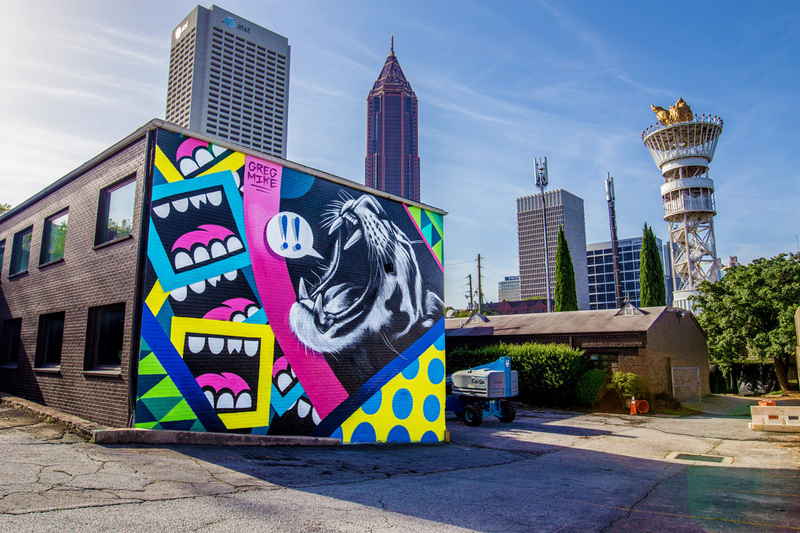 He also launched the Outerspace Project, an annual September gathering that recruits artists from around the country to paint murals in Atlanta. This year marked the fourth time the public art initiative brightened the local landscape. One space Mike has resisted transforming with his spray paint is the house he shares with his wife, Laura, a commercial insurance broker, and their new baby boy.